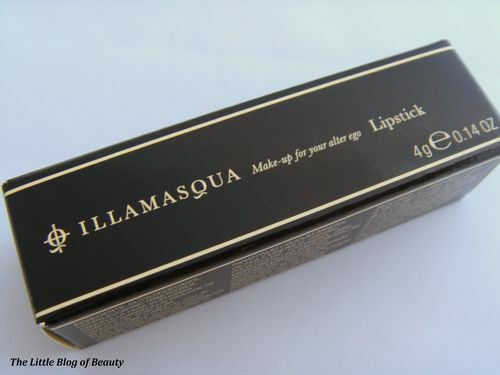 Recently I have been lucky enough to win two Illamasqua products in as many days (I’m a very lucky girl)! The first of these was one of Illamasqua’s new speckle nail varnishes and the second I won from Illamasqua through a Twitter competition. Illamasqua asked their Twitter followers to invent an Illamasqua product they would love to create. I decided to invent a nail varnish with a corrector nib in the lid, so you could instantly clean up any mistakes, and I drew a picture to illustrate my idea (which I’m not showing here because I can’t draw and it’s embarrassing, but you can find it on my Twitter!). The following day I found out I had been picked as one of five winners and the day after that I received my prize which was the lipstick from Illamasqua’s latest I’mperfection collection. 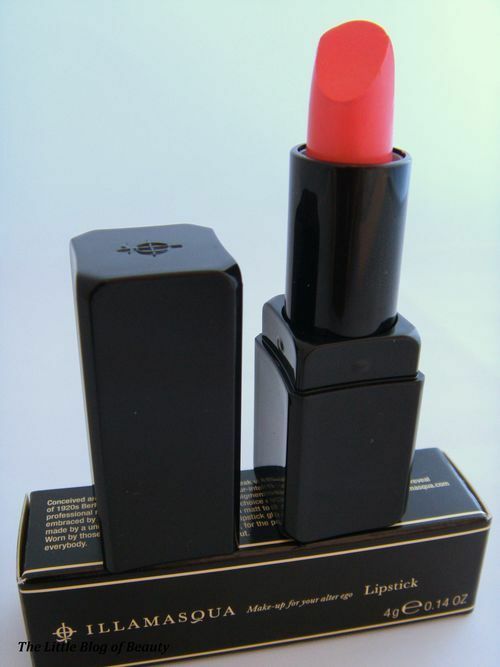 Immodest is an amazing vivid pink with a matte finish. 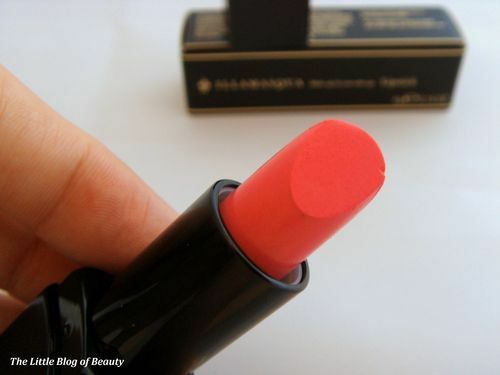 I love the colour and I really wanted to like this lipstick but unfortunately I found it really difficult to use. Admittedly my lips can be dry, although they were not particularly dry when I tried this, but obviously matte lipsticks and dry lips don’t always work well together. I personally found this quite hard and dry. 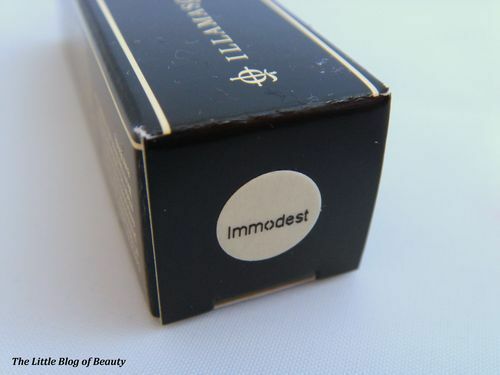 I tried applying this with a lip brush, which it does say is the best way to apply it on the packaging, but I found I didn’t seem to be getting anywhere so I tried applying it straight from the bullet. It applied quite patchy and clung to what were obviously dry areas of my lips. I left this on and when I looked at this again about 10 to 20 minutes later I was surprised to find the colour had kind of ‘shrunk’ and all that was left was some clumps of colour. 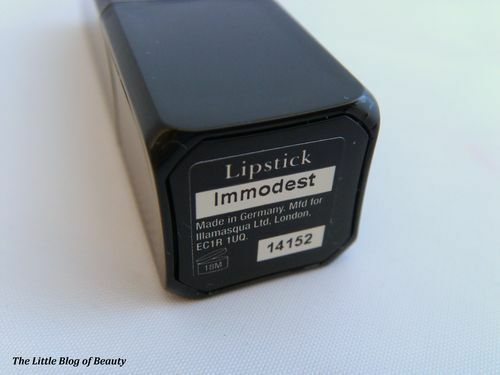 On the Illamasqua website this has two five star reviews so it may just be that this particular lipstick is not for me. 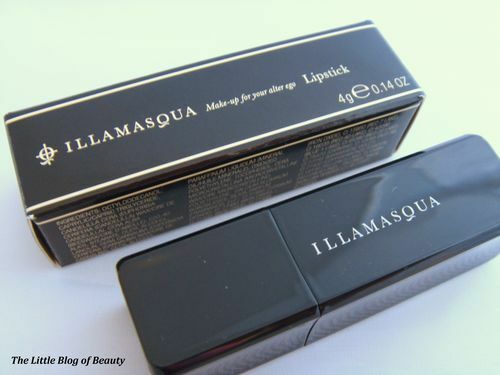 This is the first Illamasqua lipstick I have tried so I am unable to compare this to any of their other shades but checking the reviews on the website it appears that some people have found some shades a bit too dry. Thank you so much to Illamasqua for picking me as one of their winners but unfortunately this lipstick didn’t work for me.